This policy covers how the Wines.com treats personal information that Wines.com collects and receives, including information related to your past use of Wines.com products and services, your use of www.wines.com.com and/or any Wines.com web site. Personal information is information about you that is personally identifiable like your name, address, email address, or phone number, and that is not otherwise publicly available. Wines.com services and products are developed for the use of, and distributed to, third party clients. Wines.com encourages its clients to adopt privacy policies similar to its own. Wines.com sells its services and products only to reputable and ethical clients. Wines.com cannot be held responsible if a client chooses unethical or immoral use of the information that Wines.com products gather. This policy does not apply to the practices of companies that Wines.com does not own or control, or to people that Wines.com does not employ or manage. When you register for a Wines.com event, we ask that you provide basic contact information such as your name, address, and email address. In addition, other questions specifically for an event might be asked and recorded so as to better equip the event hosts for customizing their event. This information is provided to the specific sponsor for the event you registered for. On the Wines.com website, viewers are only asked to provide the above information in the event they wish to view an archived webinar. This information is provided to the specific sponsor for the archived event you view. 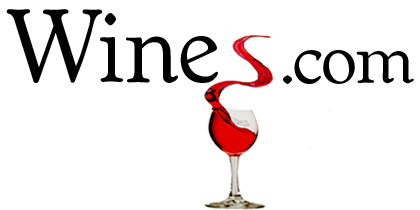 Wines.com may combine information about you that we have with information we obtain from business partners or other companies. Wines.com automatically receives and records information on our server logs from your browser, including your IP address and the page you request. Wines.com uses information for the following general purposes: to fulfill your requests for products and services, improve our services, contact you, conduct research, and provide anonymous reporting for internal and external clients. Additionally, as stated above, When you register for a Wines.com event, your contact information is provided to the specific sponsor for the event. We receive and store certain types of information whenever you interact with us via Wines.com. Email delivery and open rates: To help us make our emails more useful and interesting, and to ensure that we are delivering the services you have ordered, we often receive a confirmation when you receive and/or open email from Wines.com. Messages required to service event registrations: Wines.com will send you email notifying you of your event details. We may also send you communications related to your upcoming event, for example reminding you of the details, or when those details change. Marketing messages about Wines.com: We may send you marketing messages related to our services you receive, for example, encouraging you to register for more Webinars or extend your Web event presence. Wines.com uses industry-standard protocols to safeguard confidentiality of information. Cookies are alphanumeric identifiers that a Web site can store on your computer’s hard drive. When you visit wines.com, create a user account, or otherwise interact with a Wines.com event online, we may set cookies on your personal computer. Wines.com’s website does not require you to enable cookies in order to browse its site. Internally, we limit access to your personal information to Wines.com associates who will use the data to troubleshoot, support your use of the service, and improve the service. We have physical, electronic, and procedural safeguards that comply with federal regulations to protect personal information about you. Wines.com does not contain Spyware. Spyware is software that is installed deceptively to gather information about you without your knowledge. This can include centrally recording your personal Internet usage, monitoring your keyboard strokes or capturing personal information. If you think that you downloaded and/or installed spyware, we suggest reporting it on the alt.privacy.spyware newsgroup available on Google Groups. To opt out of all Wines.com email and phone communications, please contact us directly. Wines.com may update this policy by placing a prominent notice on our site.